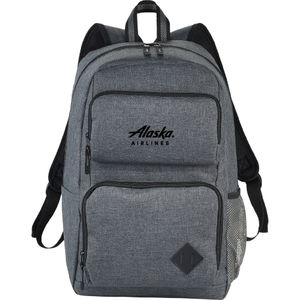 This stylish backpack offers on trend looks with exceptional value. Zippered main compartment with padded laptop sleeve holds up to a 15.6" computer, dedicated iPad/tablet pocket with room for all your other business essentials. Two front zippered pockets large enough for power banks, cables, pens and notecards. Side water bottle pocket. Top grab handle. 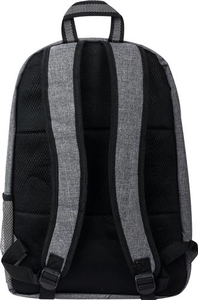 Adjustable padded backpack straps.